Peters & Associates’ IT and network solutions will protect your networks, digital assets and data. Our Defense in Depth strategy is the key to securing your data. In today’s environment, you should assume the devices connecting to your network are already compromised. The human being using those devices is the new “edge” of your security perimeter. If their identify is compromised, your data is at risk. We can help you architect a unified, comprehensive and proactive strategy to keep you ahead of the game. 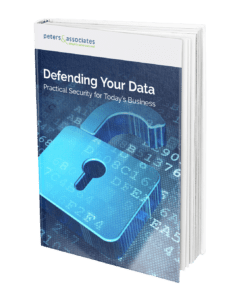 Leverage our security team at Peters & Associates to optimize your IT Security and Operations so your employees can focus on your organization’s value-add business initiatives. ADVISE > Our advisory services are a tailored information security program, which can address your organization’s security needs. You can have an entire team of information security professionals without increasing your internal resources. ALARM > Obtain full visibility on what is going on in your environment. A Security solution that ties all security events together so you can be fully prepared to respond quickly and reduce the impact of a data compromise. DEFEND > Protect your crown jewels in your organization by reducing the access, visibility, and increasing security within that specific environment. GUARD > Identifies suspicious user behavior and provides clear information of the event to enable you to prevent or dismantle an attack. AWARE > Empower your workforce to be a barrier of security for your environment. With Security Awareness training and Social Engineering evaluation, your employees become a part of your Security Program to help your organization reduce the risk of a cyber-attack. How safe is your data? Don’t risk your organization, your customers, and your job. Protect all of it. Now. 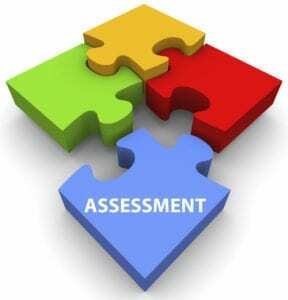 Contact us for a cyber security audit and secure network assessment. Protect and safeguard the critical digital assets of your organization from hackers, competitors, and unauthorized employees. Keep your network, customer data and any sensitive information safe. A network security audit now will save potentially millions later. Take our free Security Assessment to find out how you can improve your organization’s security posture. Ransomware – Limit the Risk is a guide on ransomware and what you can do to protect your company. Ready to lock this down?